IR PATROL LE100 (19mm) Handheld Thermal Monocular New! IR-PATROL LE100C (19mm) Image Capture Thermal Monocular New! IR-PATROL M250 (19mm) Thermal Monocular New! IR-PATROL M300W (19mm) Weapon Mounted Thermal Monocular New! IR-PATROL M250 (19mm) Helmet Mounted Thermal Monocular New! 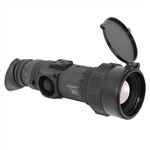 IR-PATROL M250XR (60mm) Extended Range Thermal Monocular New!